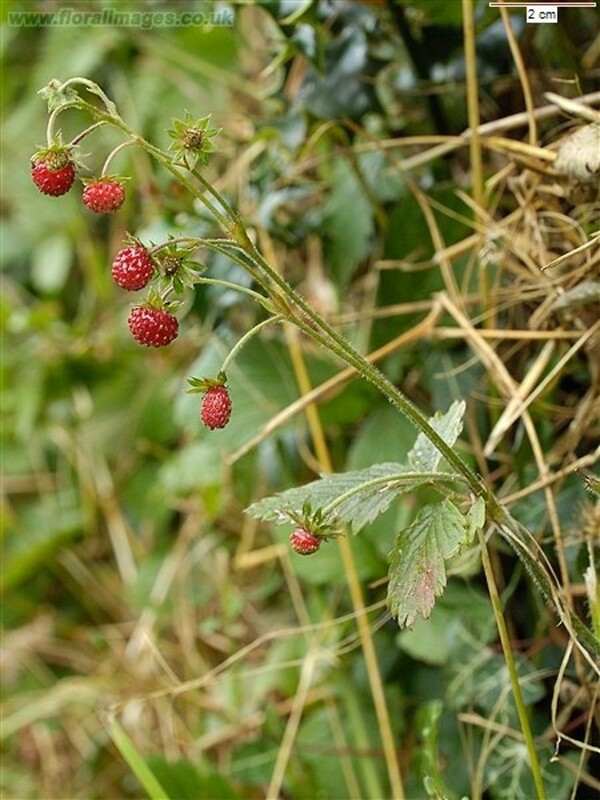 Woodland strawberry consists of a native subspecies (Fragaria vesca ssp. 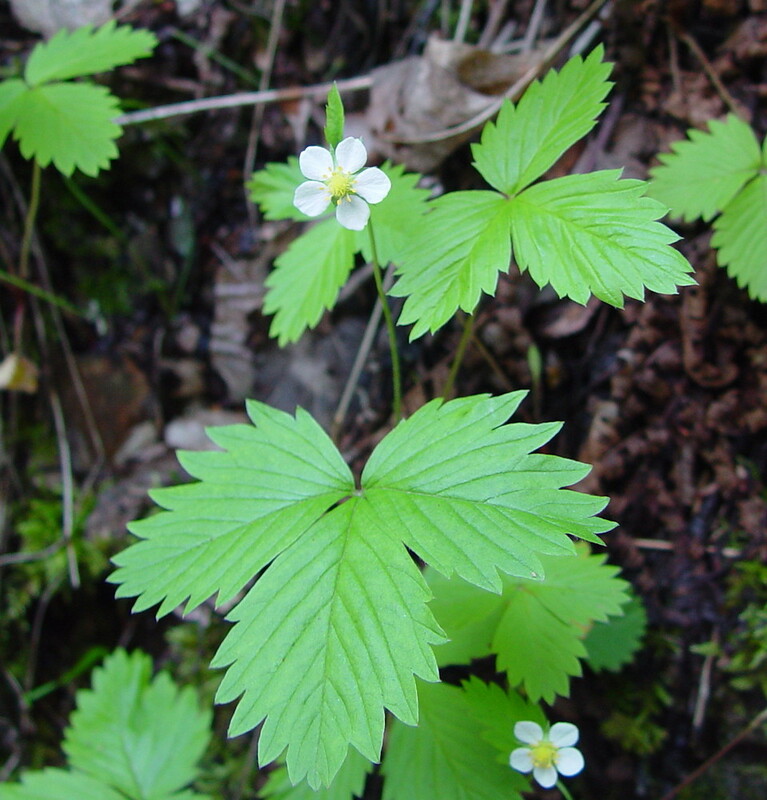 americana) and a non-native subspecies (F. vesca ssp. vesca). 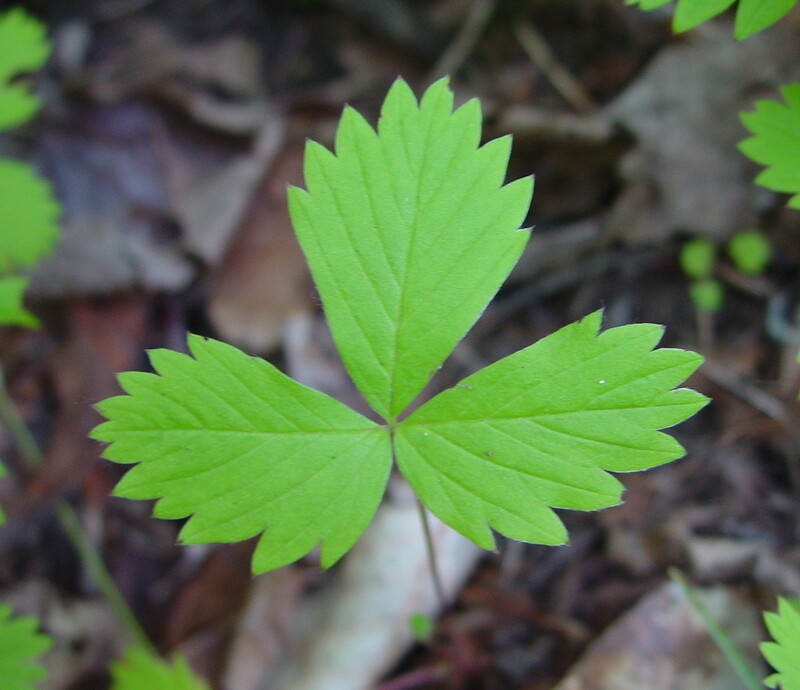 The powdered leaves were used as a disinfectant by Native Americans, and the fruits may be eaten fresh or dried. leaflets with short, but evident stalks and terminal tooth of leaflets less than half as wide as the adjacent teeth (vs. F. vesca, with leaflets without or essentially without stalks and terminal tooth of leaflets more than half as wide as the adjacent teeth). 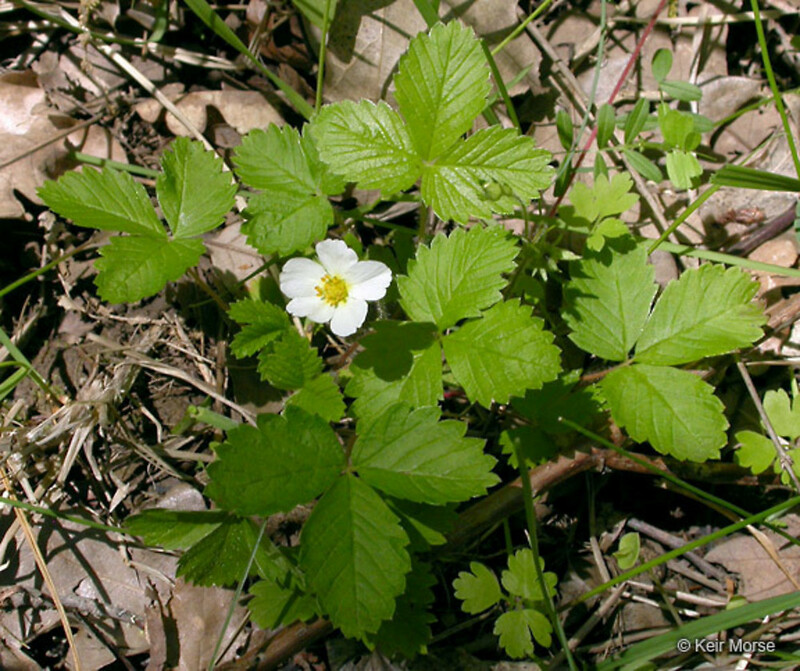 Fragaria vesca L. ssp. 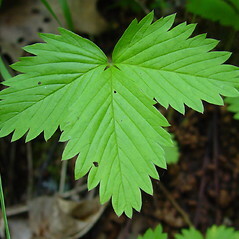 vesca is non-native and known from CT, MA, ME, NH, RI, VT. F. vesca L. ssp. 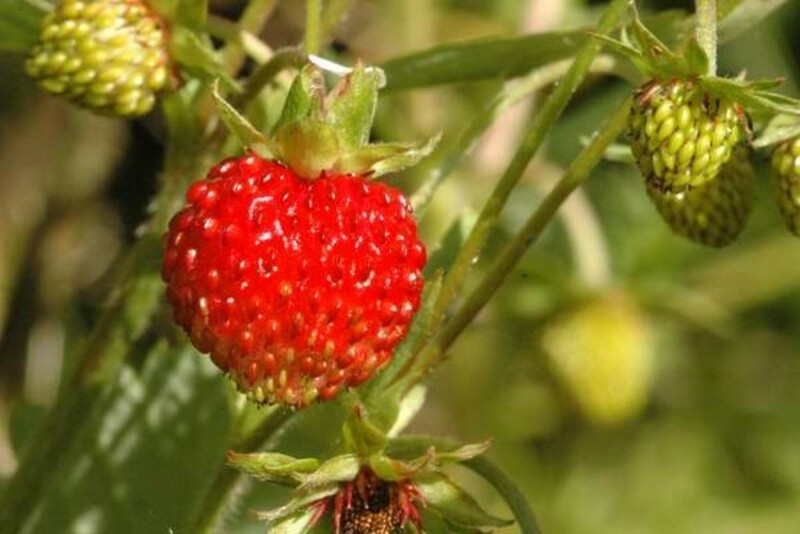 americana (Porter) Staudt is native and known from CT, MA, ME, NH, RI, VT.
woodland strawberry. 1a. 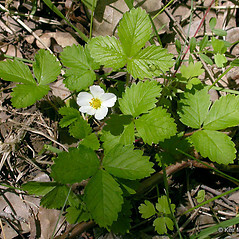 Fragaria americana (Porter) Britt. 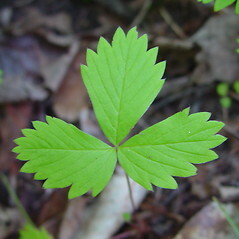 ; F. vesca L. var. americana Porter; 1b. 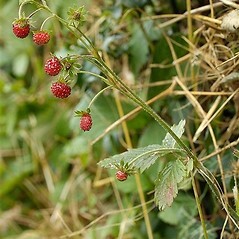 Fragaria vesca L. var. alba (Ehrh.) Rydb. • CT, MA, ME, NH, RI, VT. Forests, woodlands, outcrops, fields, roadsides, clearings, waste areas. 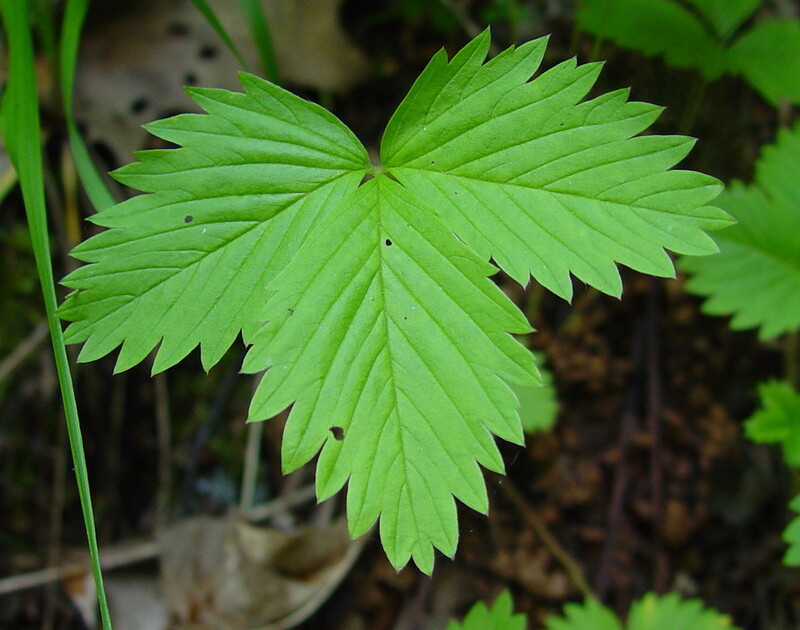 Subspecies americana is native and known from CT, MA, ME, NH, RI, VT. Subspecies vesca is non-native and known from CT, MA, ME, NH, RI, VT. 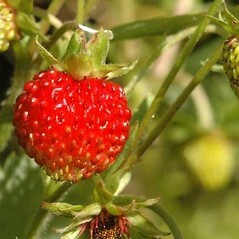 It sometimes produces a white to cream-white fruit (rather than the normal red color).